Suitable insurance is vital to any organisation and its members. The Scout Association’s dedicated insurance broker is Unity Insurance Services who is a wholly owned subsidiary and a specialist in insurance for youth charity and voluntary organisations. 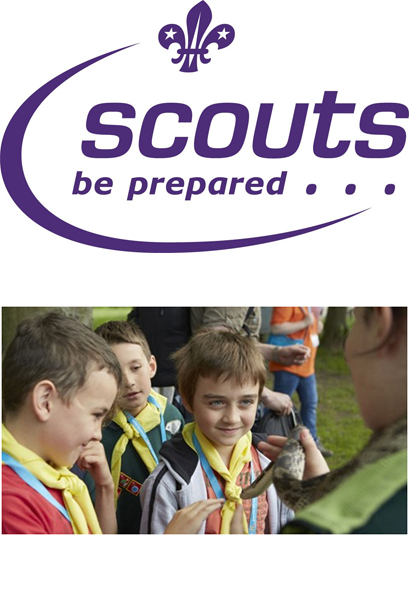 Established over 80 years ago to service Scouting, but are now also brokers for other youth organisations such as Girlguiding and hundreds of other charities and voluntary organisations. To find out about the insurance that Unity provides The Scout Association and its members, Scout Groups, Districts and Counties, please visit Scout insurance website - scoutinsurance.co.uk or contact the Unity team directly by calling 0845 0945 703, or email scouts@unityins.co.uk. Unity also arranges insurance cover for other charities, voluntary organisations and youth groups. Insurance for other UK charities. Unity Insurance Services is the trading name of Scout Insurance Services Limited and is a wholly owned subsidiary of The Scout Association. All Unity’s profits returned to Scouting.